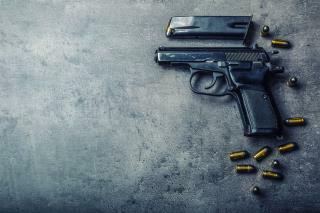 (Newser) – Gun violence in Chicago has been an ever-present topic in recent news, and this weekend just saw more disturbing statistics emerge. Seventeen people were shot and killed between Friday night and Monday morning, per homicide numbers tracked by the Chicago Sun-Times; 41 others were reported injured. That makes it the city's most lethal weekend in terms of gun violence in all of 2016 (there were 13 fatal shootings on both Father's Day weekend and Labor Day weekend). "It was a tough weekend," Chicago Police Supt. Eddie Johnson told reporters Monday, noting that most of the shootings were linked to gangs and that he thought locals "would be in a better frame of mind" because the Cubs were in the World Series. What the article doesn't mention is that city wide, Chicago police were in skeletal staffing with all of their man power focused on paroling Wrigleyville Friday through Sunday while the World Series was in town. So? What did you expect from Hood rats? BLM and other race baiters blame others for a problem they created themselves. So when the cops went after them; we all saw what happened. Just another day in Chicago.